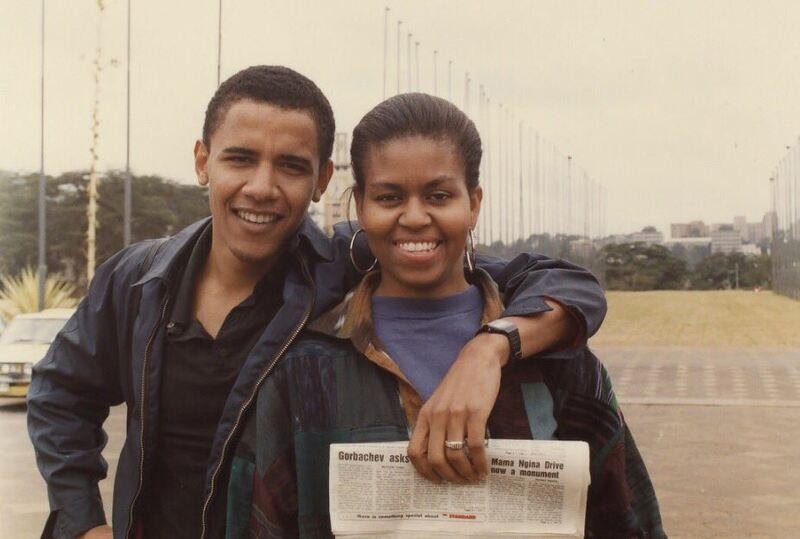 An old picture of Barack Obama and Michelle Obama that was taken in Nairobi is all the fuss on social media. The former U.S President Thursday shared the picture in a Twitter/Instagram post as he wished wife Michelle Obama a happy birthday. Obama, who is often known to be a man of many words, kept his loving message short and sweet to the former U.S First Lady who turned 55. “I knew it way back then and I’m absolutely convinced of it today — you’re one of a kind, @MichelleObama. 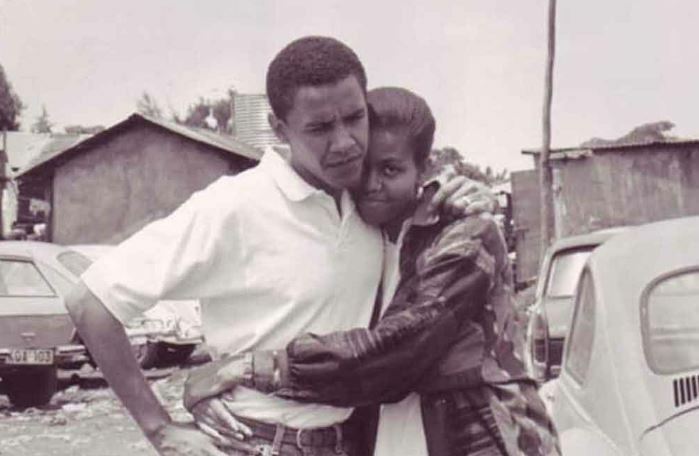 Happy Birthday!” Barack captioned the adorable old photo of him and Michelle. Kenyans on Twitter quickly noticed that the background looked somewhat familiar, with some rightly pointing out that Obama was holding a local newspaper. Other Kenyan Twitter users were taken aback by the fact that Michelle Obama has been to Kenya. This, of course, is because a section of Kenyans believe that the former FLOTUS is somewhat snobbish towards Kenya as she does not accompany Uncle Barry on his visits to the motherland. Last July, when Obama was in Kenya for a two-day visit, Michelle Obama was conspicuously missing. A lot of Kenyans had hoped that this would finally be the visit they get to see and meet Michelle seeing as Barack Obama was out of office. 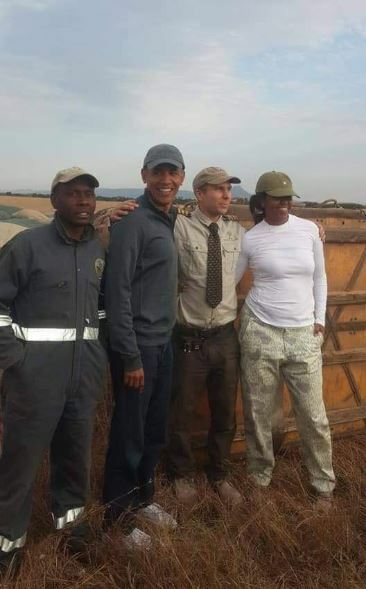 As if her absence wasn’t disappointing enough, it became apparent that prior to the Kenyan trip, the Obamas had spent more than a week at the Serengeti National Park in neighbouring Tanzania. 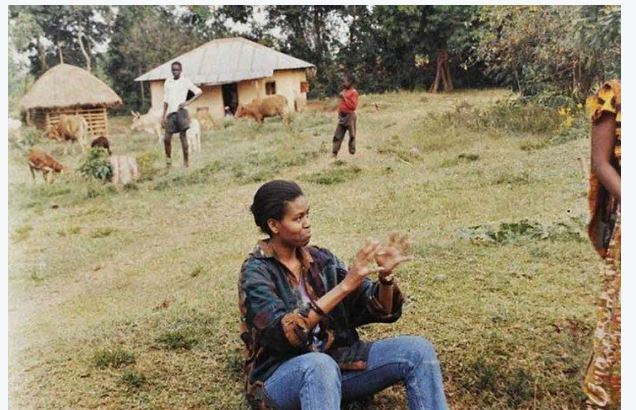 While we continue to wait for Michelle Obama to grace us with her presence(not that we’re that desperate), we can take comfort in the photo of her first visit to Kenya back in 1992. It was taken at the Kenyatta International Convention Centre, formerly the Kenyatta International Conference Centre, located in the City Square of Nairobi. This is when Barack Obama brought Michelle to meet his grandmother Mama Sarah and his Kenyan family just before their wedding. They had dated for three years. Michelle’s experience during the visit, as told in her memoir- Becoming, could explain why she skips Kenya. In her book, Michelle says it was not an experience to behold for her as she got frustrated and ended up being angry at Barack Obama. Her frustrations started right from the airport in Nairobi as Obama’s sister, Auma Obama, came to pick them in a dilapidated Volkswagen beetle. Interestingly, this was also the first time they had their first big fight as a couple. However, it was not all terrible for the young Michelle who says she enjoyed the company of her would-be in-laws when they later travelled to Siaya to meet Mama Sarah Obama.